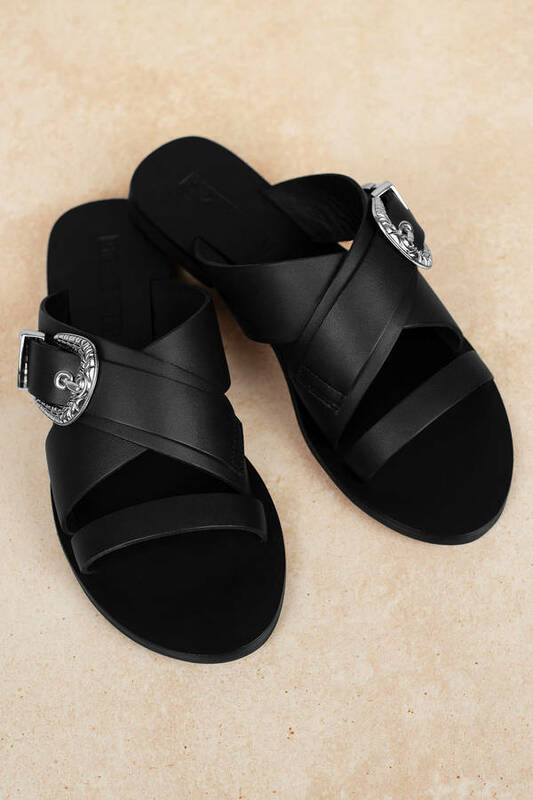 Check out Tobi's Cassidy Buckle Slide Roll through in style with the Cassidy Black Buckle Slide from Sol Sana! Featuring a black leather with crossed straps and a western buckle detail. 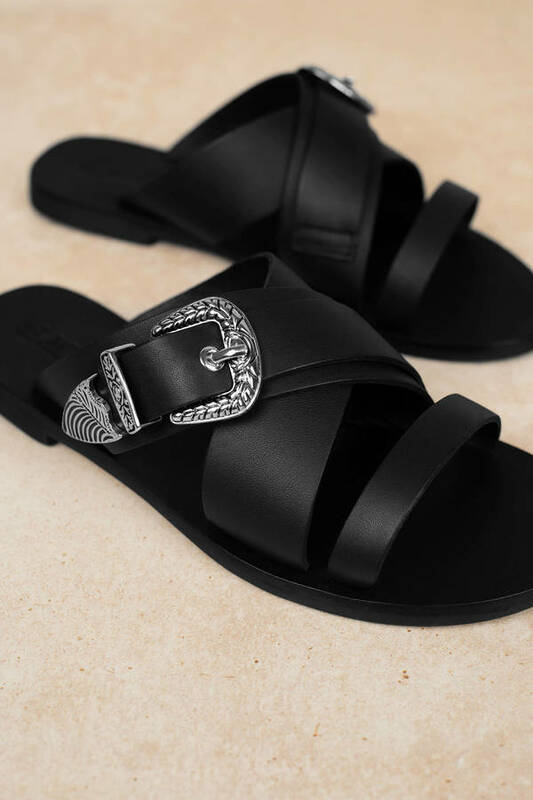 Roll through in style with the Cassidy Black Buckle Slide from Sol Sana! 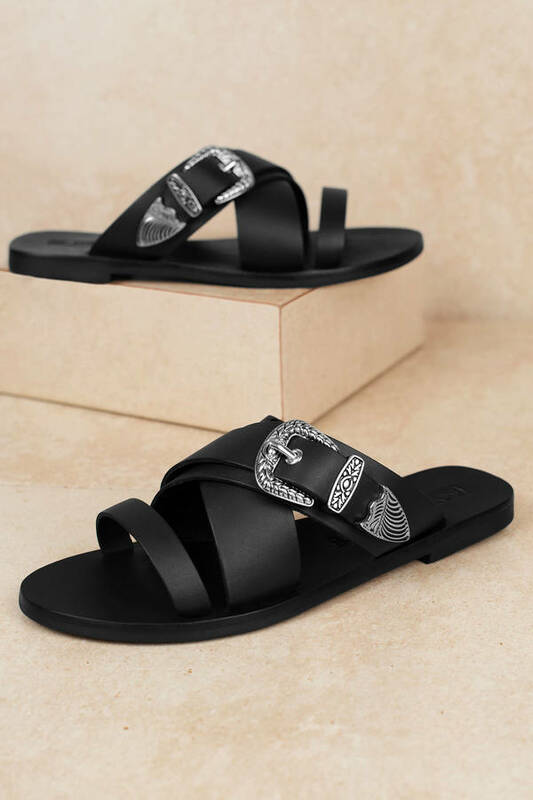 Featuring a black leather with crossed straps and a western buckle detail.